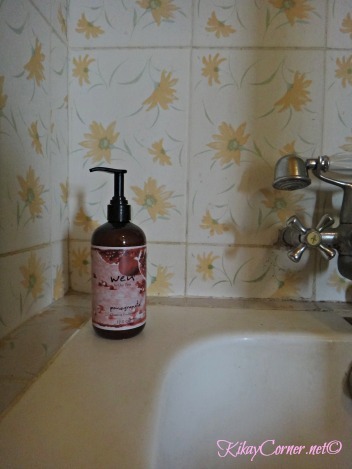 Kikay Corner > hair care > Wen Cleansing Conditioner: 2 Months in and Still Loving it! Wen Cleansing Conditioner: 2 Months in and Still Loving it! It is a good thing that ever since I started making my own Castile Soap and Shampoo, I have kinda sorta psyched my family to not fall dependent on the fallacy that lather translates to cleansing. Truth be told, lather almost always equals to harsh ingredients. I kid you not! The stripping of our hairs natural oils is what our usual commercial shampoos do. Wen Cleansing Conditioner does not merely do deep conditioning and all the nice things to your hair, it also keeps the hair color intact. It’s inevitable. When we rid our hair off the residue of the commercial shampoo, and pamper it with these awesome and natural ingredients, our hair will get more beautifully awesome with the introduction of WEN® Cleansing Conditioner.  Pomegranate Extract: Has anti oxidant properties comparable to wine or green tea. It is also incredibly hydrating.  Hydrolized Soy Protein: Protein derived from Soya beans. Increases strength and manageability  Organic Aloe Vera Leaf Juice: Healing, moisturizing, anti fungal, antibacterial properties.  Rosemary Extract: Amazing antioxidant properties, stimulates hair growth and fight scalp problems.  Chamomile extract: Calming, soothing with antibiotic and anti inflammatory properties. Also used for dry and flaky skin.  Menthol: Has local anesthetic and counter-irritant qualities. Can also reduce itching and tenderness. 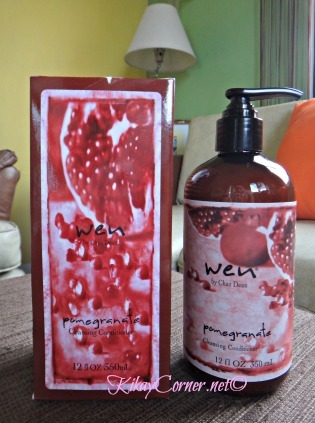 Wen Cleansing Conditioner was developed by Los Angeles based “stylist to the stars” Chaz Dean, WEN ensures that the Filipina’s hair will have the same Hollywood shine, shimmer and splendor. To use rinse hair thoroughly then Apply WEN® into your palms and rub together. Use 10-16 pumps for short, 16-24 for medium length and 24-32 pumps for long hair. Or depending on your hair length and thickness.